A fireplace is a great addition to any space. Not only do fireplaces generate warmth, they also create a sense of comfort. 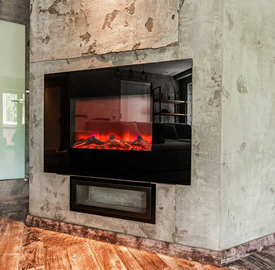 Fireplace inserts can be used in residential and commercial spaces to reduce heating costs, as well as to set a welcoming environment for guests. While fireplaces are functional and are great focal pieces, routine maintenance is required to keep them working as efficiently as possible. 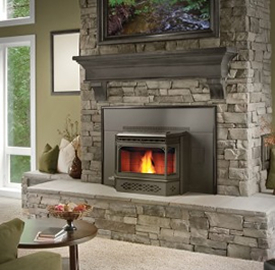 At Creative Masonry & Chimney, we have the expertise and experience needed to properly install fireplaces and fireplace inserts in central Connecticut. Not every mason knows how to build a fireplace—but our team has been constructing them for years across central Connecticut. We also offer repair and remodeling services to keep your fireplace running smoothly while also ensuring you love the way it looks now and for many seasons to come. 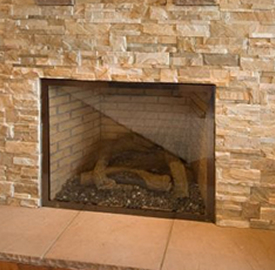 Browse through our fireplace services below. You can also count on our team to help with more serious and in-depth repairs that other companies may not be able to fix. 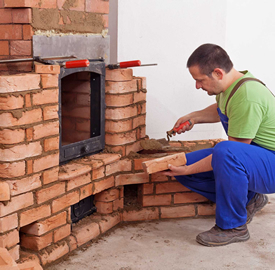 With 30 years in the masonry and chimney industries, we’re confident that we can provide you with the highly skilled fireplace repair services that you deserve. As time passes, a fireplace can become dull. Maybe the look you wanted years ago no longer matches the upgraded interior design and décor. While you may think that you’re stuck with the fireplace you have, with a professional fireplace remodel you can transform your fireplace into one that meets your need design vision. No matter if you want to have a new fireplace insert installed in Connecticut or completely remodel an existing fireplace, we’ll get the job done right the first time, with minimal hassles and at a reasonable price. 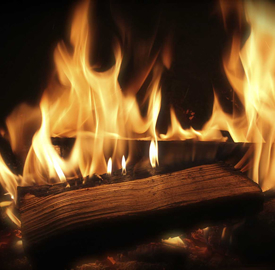 We also sell firewood in CT so that you can enjoy your newly fixed or remodeled fireplace.